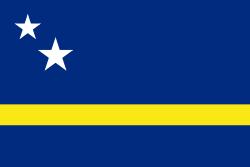 Curaçao is an island in the Caribbean Sea, it is a part of the ABC islands and is just a short distance north of the Venezuelan Paraguaná Peninsula, and it forms a part of the Kingdom of the Netherlands. Willemstad is the capital of Curaçao. This page was last changed on 10 February 2018, at 20:26.